Fast Video Download for Firefox 4.2.0 is a Firefox add-on that allows you to download videos from video sharing sites. The add-on is lightweight and easy to use. Fast Video Download für Firefox 4.2.0 is a downloader that operates at an impressive speed. It is estimated that it is 500% faster compared to other competitors. After you have installed the plugin, it will add one icon to the navigation toolbar and another icon onto the status bar. It supports a large number of video sharing sites including YouTube, Vimeo, collegehumo.com, Daily Motion, blastro.com, and Red Tube. If the video sharing site is not supported, the two icons will appear gray out. Blue colors icons is an indication that the video sharing site is supported and that it is ready to download the video. When you want to download a video, you just click on the arrow button. After clicking on the arrow button, you will see window pop up on your screen and you are to click on the download link in it. It takes a few minutes to download the video into your desktop. You can change the default location of the icon in the settings. There is a hotkey that you can press to download the video. The video can be saved to your preferred download destination. You will be able to open the video file in the video player as soon as you have downloaded it. 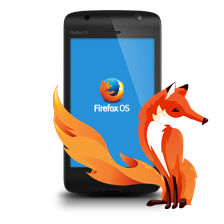 You can use Fast Video Download für Firefox 4.2.0 to convert the video files into formats that are compatible with your mobile device. It can download HD video in 720p and 1080p resolutions. There is a help document available at the website of the publisher if you need some guide on using it. Support more video formats for YouTube.